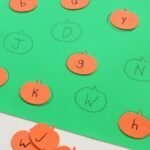 This fun apple alphabet activity works on literacy skills and fine motor skills with a simple letter matching activity and the use of stickers. 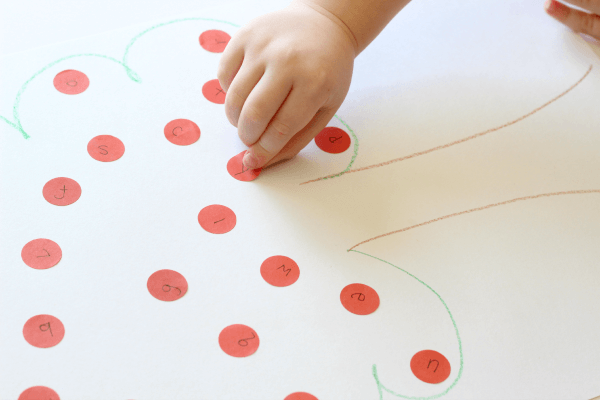 It’s a great learning activity for an apple themed preschool week! I am so excited to be joining a group of bloggers who will be bringing you weekly PLAYful Preschool activities you can do with children at home or at school. Each week will have a theme and all of the bloggers in the group will be posting activities that will cover all subjects from literacy to math to science and social studies! We would love to have you follow along. I am sure it will be a fantastic resource for you! Click here to learn more about the PLAYful Preschool Education Team. The theme for this week is apples and I am sharing a literacy activity. Many preschoolers enjoy using stickers and Evan is definitely one of them. With this thought in mind, I developed this idea for practicing letter identification and letter sounds. Objective: To work on letter identification and talk about letter sounds while developing fine motor skills. Piece of paper. I have a roll of craft paper and cut some of that off. I would suggest using something larger than a typical sheet of paper, but that will work just fine if you reduce the amount of letters you put on the tree. Red dot stickers (color coding stickers). These can be found in the office supply section of most stores. Usually they come in a pack with red, blue and yellow. I got mine at Meijer for $2.50. 1. 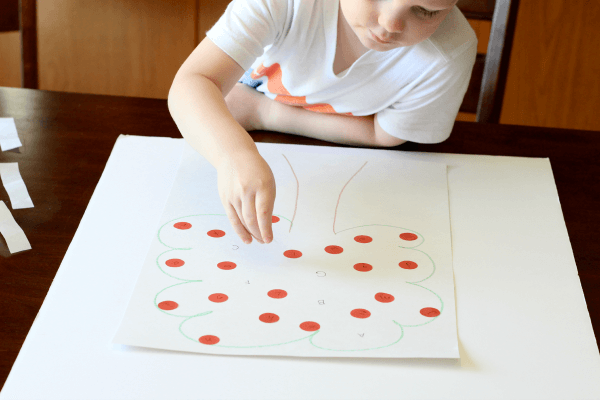 Draw a tree on the paper. 2. 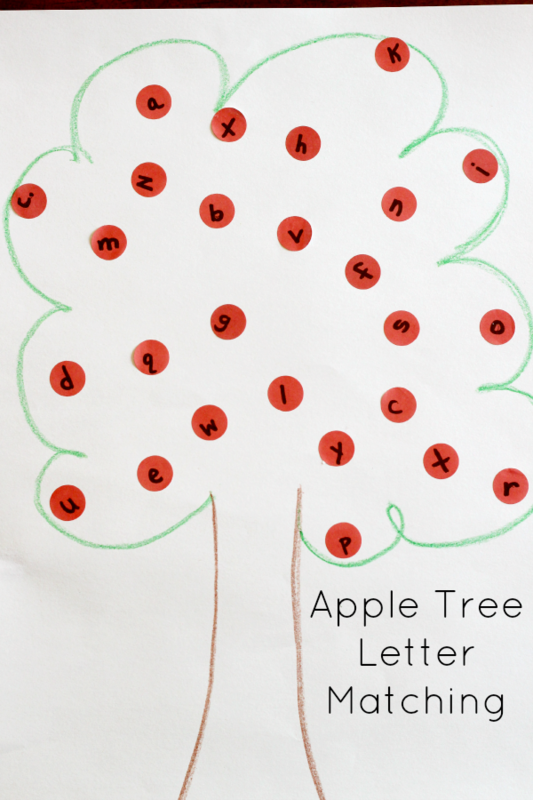 Write letters all over the tree with black crayon or marker. My paper was large enough to draw a big tree and have enough room for all the letters of the alphabet. If your tree is smaller, you can do half the letters or any amount you can fit. 3. 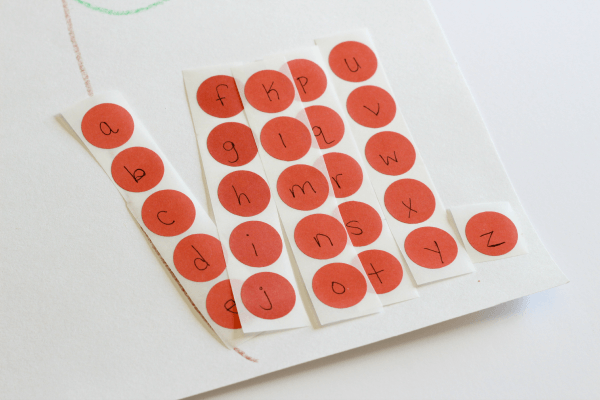 Write the matching letters on the red dot stickers. I started by asking Evan if he could find the A on the tree. Once he found it, I said the letter sound and a word that starts with that letter.Then I asked him to peel off the “A” sticker and place it over top of the letter “A” on the tree. We repeated this for every letter in the alphabet. When he didn’t know which letter it was, I would have him look at the letter on the sticker and then look for the match on the tree. 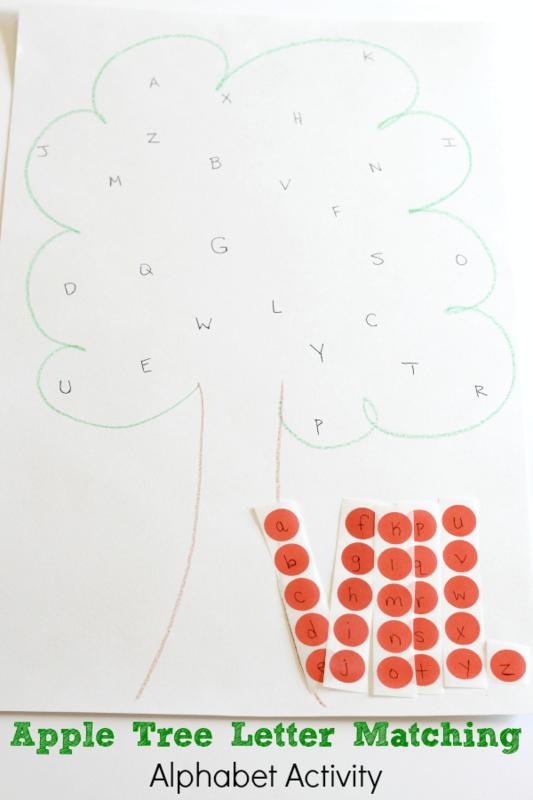 If that is still too difficult for your child, you can help them find the letter on the tree. This can easily be modified for your child’s developmental level. 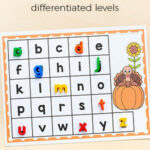 You can use fewer letters, a specific set of letters or you could even match uppercase letters with lowercase letters. Evan enjoyed this so much that he has been asking me to do it again. We have been reading apple books and he learned about Golden Delicious apples. 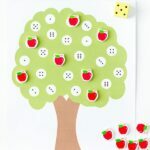 Now he must make an apple tree and use the yellow dot stickers. You could use green dot stickers for green apples too. 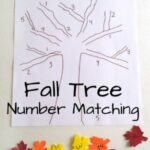 I hope this is a great addition to your preschool lesson plans! Get the Apple Activities Mega Bundle! 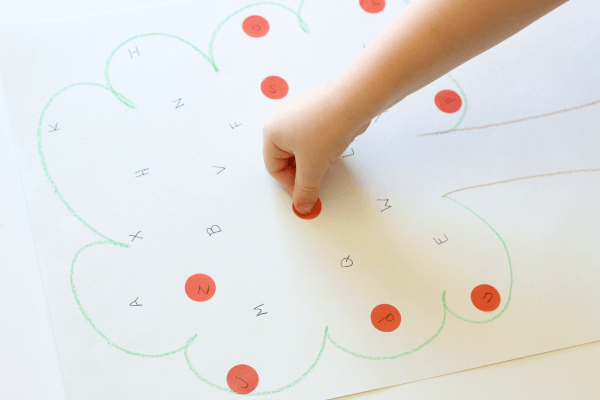 This apple activities mega bundle includes 10 printable activities that help children learn the alphabet, letter sounds, sight words and word families (rhyming words), numbers and number sense! They are all hands-on and interactive. 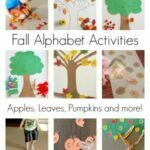 That’s 150 pages of printable apple activities that you can do with your students or kids this fall! The best part is that the pack is differentiated and able to meet the needs of students at a variety of ability levels. 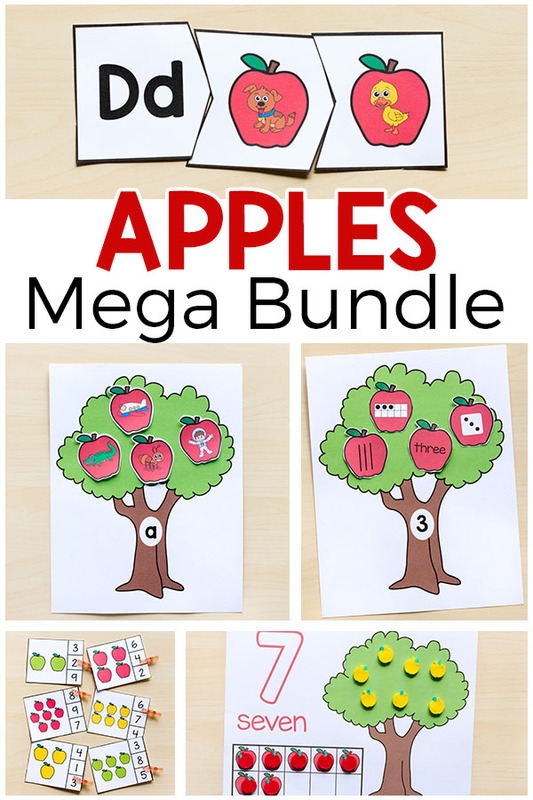 Click the link below to buy the Apple Activities Mega Bundle!